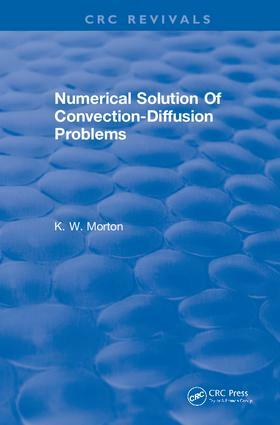 Accurate modeling of the interaction between convective and diffusive processes is one of the most common challenges in the numerical approximation of partial differential equations. This is partly due to the fact that numerical algorithms, and the techniques used for their analysis, tend to be very different in the two limiting cases of elliptic and hyperbolic equations. Many different ideas and approaches have been proposed in widely differing contexts to resolve the difficulties of exponential fitting, compact differencing, number upwinding, artificial viscosity, streamline diffusion, Petrov-Galerkin and evolution Galerkin being some examples from the main fields of finite difference and finite element methods. The main aim of this volume is to draw together all these ideas and see how they overlap and differ. The reader is provided with a useful and wide ranging source of algorithmic concepts and techniques of analysis. The material presented has been drawn both from theoretically oriented literature on finite differences, finite volume and finite element methods and also from accounts of practical, large-scale computing, particularly in the field of computational fluid dynamics.